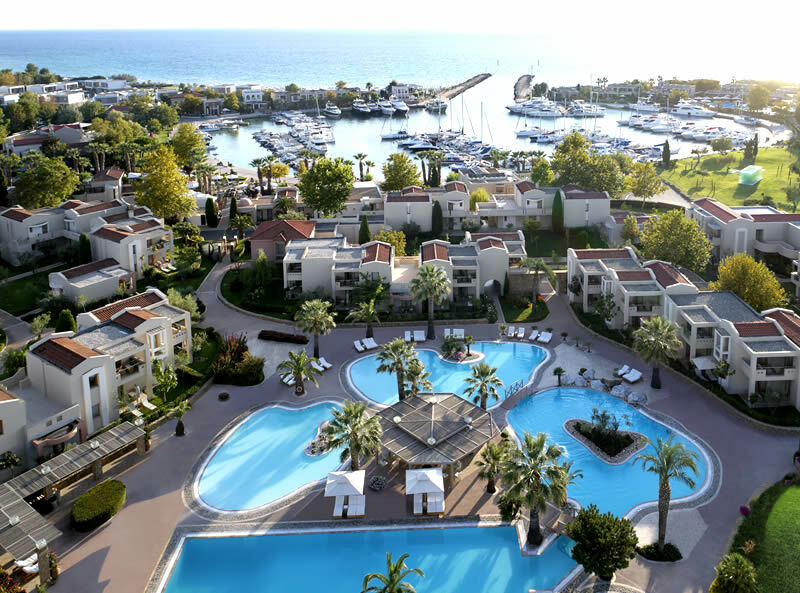 Located around the picturesque Sani Marina, Porto Sani is a luxurious all-suite hotel, which offers all the facilities of the popular Sani Resort whilst maintaining the tranquility of a private club. Enjoying a peaceful setting, surrounded by extensive gardens, pine forests and eucalyptus trees, it is set close to a 7 km long white sandy beach, a section of which has specially reserved sun beds and parasols for Porto Sani guests.It offers a warm homely ambience and a wide selection of gourmet Greek and international culinary options. Anyone part of the yachting scene will be in their element at the Porto Sani Village as it commands a privileged setting around the affluent marina, with its boutiques, galleries, bars, tavernas and ouzeries. Complementing the sophisticated location, every corner of this luxurious hotel displays outstanding touches of elegance and refinement. The hotel features 99 exclusive and luxurious suites all featuring a private balcony or terrace, FREE WiFi, tea and coffee making facilities, espresso machine, bathrobes and slippers, dream beds and pillow selection for extra comfort, flat screen TV, heating/air conditioning, direct dial telephone, mini-bar, hair-dryer, safe box.